Online education has proliferated in recent years. As higher education institutions expand course offerings and flexibility within those programs for busy professionals, online learning has taken root and become a mainstream option. The Graf Method at Berges can now be learned online. 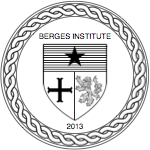 Berges has created an online learning environment for all grammar and conversation level courses. Taking a Berges course online brings convenience and accessibility to starting or continuing Spanish language studies. Reaching a high level of proficiency in a new language requires the acquisition of thousands of words as well as learning the mechanics of how these words combine in a system through which communication is possible. There is little doubt that memory plays a vital role in this process. Without a healthy memory, acquiring a new language is an impossible task. In today’s world, the average language learner is used to relying on outer devices for recollection, such as computers and smart phones, and this reliance hinders the development of an active memory. We’ve designed them so they are as similar as possible to our regular, in-person courses. Classes are not prerecorded. Online courses have set start and end dates, and meet at the same day and time every week for 10 weeks, just like the ones at Berges Chicago and Berges NYC. There’s weekly homework, and there’s a test between the 9th and 10th session that you should pass before you move on to the next level. The online rooms are set to Discussion Mode, so students can talk to the instructor or to other students, just like they would do in a regular class. Apart from class, other environments you frequent may lack stimulants or triggers to keep learning Spanish alive. While at home, work or online, you can enhance your environment to complement your Spanish studying by increasing your vocabulary and knowledge of idioms and meanings. Below are some ways to alter your environments—online and off—that will help increase your Spanish vocabulary arsenal and challenge you to adapt to and understand new language surroundings.